Some say it'll be called the Cabrera while others believe it'll be the Deimos. But the name doesn't matter. 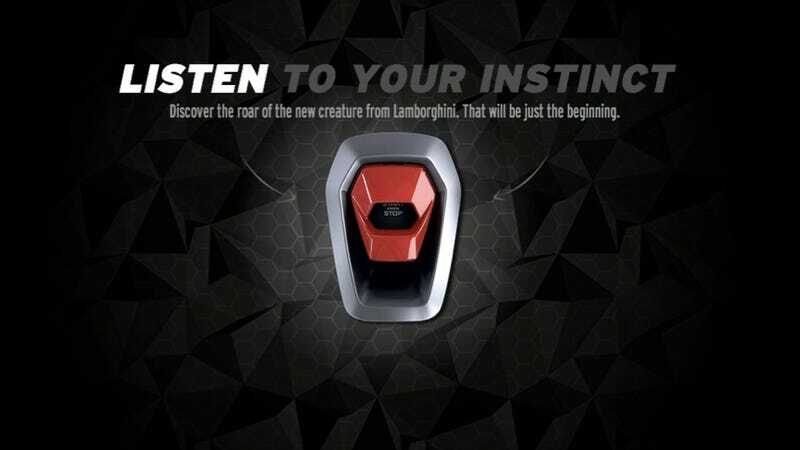 Lamborghini is bringing out a new V10 car to replace the Gallardo, and this is what it sounds like. SPOILER ALERT: It's incredible. Is This What The Lamborghini Cabrera Will Look Like? Just one day after the last Gallardo rolled off the assembly line, Lamborghini unveiled the Hexagon Project, which is the website they are using to slowly tease their newest entry level car. Presumably the car won't be called hexagon. That's either the internal name for it or there are six teasers coming before we see the car. See, a hexagon has six sides, that's why I say that. I know, pretty clever. For now, all there is to see is an Aventador-style start button that, when clicked, unleashes some lovely V10 fury. Can't wait to see more.